Selling Yourself - Why a Sale Starts With You May 27, 2014 'Never judge a book by its cover' goes the conventional wisdom, the age old warning into not jumping to snap conclusions. However, where sales..
Clearing House - When You Didn't Make the Grade Aug 12, 2014 The clearing season is underway in UK Universities and higher education colleges. Hundreds of thousands of students who didn’t get the grades they n..
What Business Department Should I Join? Sep 22, 2015 Most organisations and companies are organised into different departments with separate responsibilities. This is a necessity, as a workplace where everyb..
Master the Art of Sales: How to explore the needs of a potential customer; motivate their interest; suggest solutions; start and successfully negotiate a sale and excel in customer care. Learn sales: how to evaluate and motivate a potential customer, solving problems for them, opening and closing a sale, and much more. 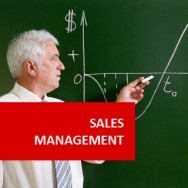 Our programme supports you to discover and acquire the variety of methods to open and close a sale. Have insights into the secrets of efficient sales experts and learn how to exploit the techniques necessary to win that sale and to progress to more success in your sales career. 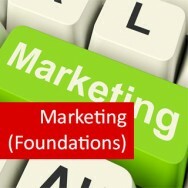 The goal and result of a successful marketing process is selling, however, marketing includes a wide range of activities besides selling, such as conveying information on product features, price and the complex tasks to promote, distribute and present the product to potential customers on the market. Marketing involves pre-and post-sale processes in addition to the actual selling of products and services. Personality. "Never judge a book by its cover." A wise old saying! but people who buy do make judgements especially about sales people. Dress and grooming are top priority in selling. As well you must learn how to develop a selling personality. Learn the art of written and verbal communication in easy to understand terms. Presentation of products to consumers and motivating them to buy. Dealing with upper management; learn how to get your point across. How to be assertive and positive when dealing with your superiors. Know your product and pre planning. Through observation, reading and listening get to know your products (pre planning is essential in today's complex society). Selling made as simple as A B C.
"The Opening" (getting the attention of the buyer). Creating the right atmosphere for a sale to take place. "Closing a Sale" (overcoming objections). Buyers will tend to look else where unless a salesman can close a sale in an appropriate amount of time (learn the secrets). Learn the art of relaxation through stress management techniques, and reduce stress in the marketing environment. The majority of sales persons need to have the ability and skill to write a condensed and accurate report on which management will comprehend and act upon. Explain the importance of first impressions and learn how to develop a selling personality. Explain the art of written and verbal communication in easy to understand terms. Explain how to present products to potential customers and how to motivate them to buy. Explain how to communicate with your managers and superiors. Explain how to help your product to sell itself. Explain the importance of preplanning, observation and listening is important in selling. Explain how to create the right atmosphere for a sale to take place. Explain how to close a sale. Explain the law in relation to selling. Write a condensed and accurate sales report. WHAT MOTIVATES PEOPLE TO PURCHASE? a) Thinking/Analytical buyers - who require facts. c) Intuitive buyers - who believe that they have extra sense ‑ some insight which allows them to arrive at the right decision more often than others. With good knowledge and sale training, a professional salesperson can determine what type of buyer they are dealing with and can adjust their sales approach accordingly. Exploring and understanding consumer motivation is a must to become a sales professional. 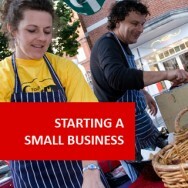 A sales person or shop assistant can be the first port of call for selling your goods and services. They may be the person who forms the closest relationship with customers and clients. They will be the person that customers see when they come into a shop or office, so it is important that retail staff are well trained, polite and fully aware of the products and/or services you offer. A naturally social personality and charisma; and 'gift of the gab', might not be essential. It can help though. Front line sales people usually need to be more extroverted than introverted. They need to convey self-confidence, be focussed and considered in their actions. People buy from sales staff who they find friendly and amenable. A good sales person is an actor, who can project the necessary image, even when they are feeling otherwise. Communication involves not just talking, writing or conveying a message to a customer. It also involves listening skills. Some people have a natural empathy; others develop empathy, and some people are simply never going to hear what people are saying to them; often because they are preoccupied with their own thoughts. Studying communication skills can help improve your ability to speak, write, read and understand body language. It will also help you to interpret what people say to you (read between the lines). In today’s world, you will encounter a need to use technology in almost every area of marketing. Sales people need to use computerised systems for processing orders; marketing managers create spread sheets, reports, financial projections and much more. The creative side of marketing will also involve using computers. You need both study and experience. Either one without the other will limit your career prospects. Don't ever think a course will guarantee a good career in marketing. Similarly, don't think your chances are just as good getting the practical experience without ever studying sales or marketing. Experience does two things: it allows a person to grow their abilities observing their successes and failures; and it provides potential clients or employers with "proof" of your capabilities. A marketing professional needs to be able to show that they have had successes. Many businesses will consider a good "track record" as being more important than anything else, when choosing staff. Do not forget though, that other things are what contribute toward you being able to create that track record. 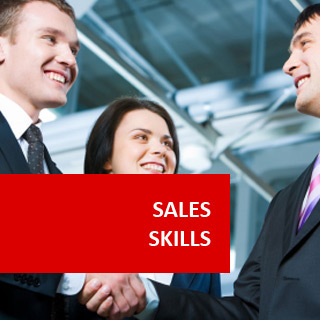 This course will enable you to understand and enhance skils needed to become a professional sales person. and increased sales results are usually recognised, appreciated and advanced to more training and opportunities to professional career development. In Sales Professional (Senior Sales Advisors) roles sale staff members maintain outstanding performance by successfully communicating with customers, understanding needs and reaching sales targets. Their contribution to prosperityis valued and reflected in higher earnings. Successful graduation provides skills in understanding and using a higher level of sales techniques and assessing customers needs with a new attitude and experience. A comprehensive and more focused view on the potential buyers mindset makes you more conscious of the steps to guide your customer effortlessly through to making a sale. and skilled sales professional with better employment and income prospects. HOW DOES THIS COURSE PROMOTE YOUR CAREER GOALS? Our experts are glad to answer your questions in a free counselling session. Lets Get Started! Call 01227 789 649 (UK) or Int'l +44 1227 789 649 and speak with our friendly and informative Course Advisors.